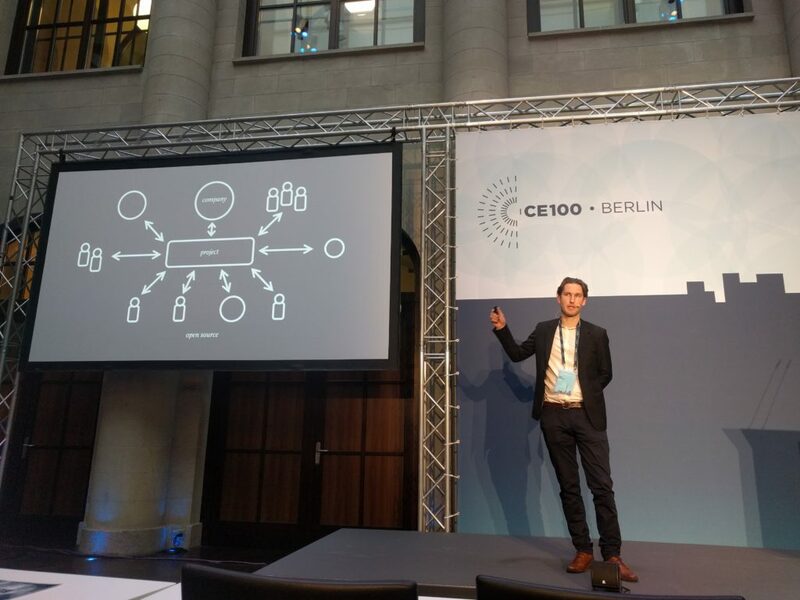 I gave a presentation at the Ellen MacArthur Foundation’s CE100 meeting in Berlin – it’s a relatively private event which connects representatives from the different corporations and industrial firms which participate in the network. There are no recordings or publications of talks, so I’m posting my talk here instead. Together with a talk from OSVehicle, it made up the last session of the event, called ‘Embrace Collective Intelligence through Open Source’. There had also been other presentations from OpenDesk, FabLab Berlin and Provenance, so the tech/open scene was well represented. Feel free to use and remix the talk, source files (SVG and ODP) are in the Slides and Illustrations folder, as usual. Hi, my name is Sam, I’m a co-founder of Open It Agency – we help businesses understand and utilize open source. 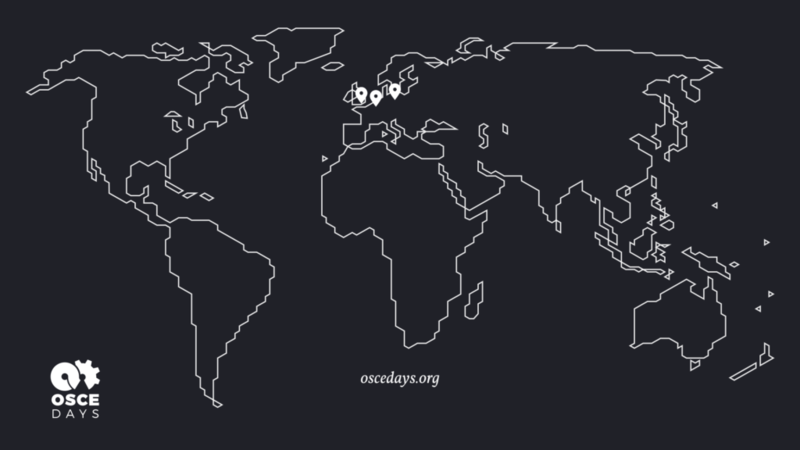 My particular focus is on applying the Open Source idea to new areas outside of software, and for the last few years I have been part of a team building a diverse international network around the Open Source Circular Economy Days – people all around the world who share the goal of a Circular Economy, and believe that Open Source is the best methodology we have to get there. Together we’ve been running events, exchanging knowledge, and building the foundations of an open source circular economy. I’d like to share our perspective with you. 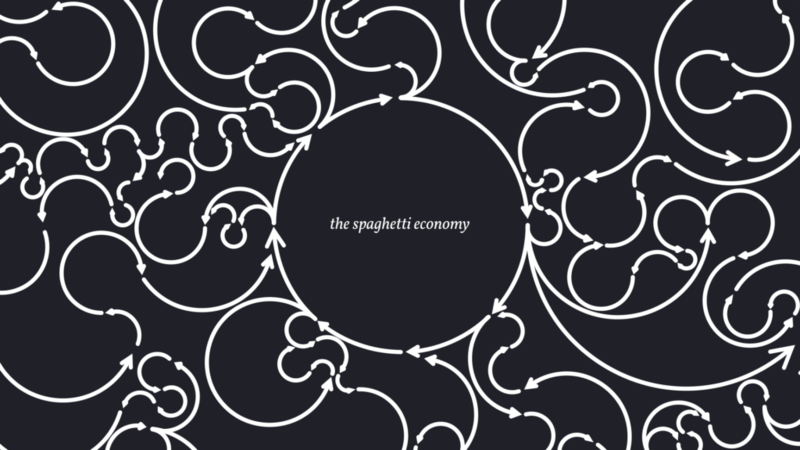 Since the industrial revolution we have been steadily accelerating our linear economy.  where any ‘circle’ is in fact a series of many smaller steps, which may span industries, continents, and societies. We can’t think of designing a circular economy from the top down– it’s a diverse and complex ecosystem which we have to nurture, which will require millions of people to take part in many different roles. This kind of cooperation is beyond the scope of any one organization, and to get here as quickly as possible, we will need collaboration on a massive scale. …and understand their position and responsibilities as part of interconnected social, economic and environmental networks. 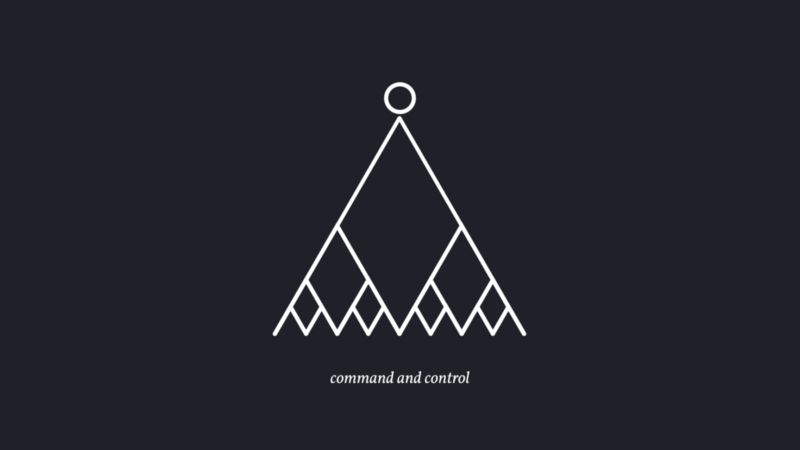 They need to be able to collaborate effectively with people outside of their chain of command, perhaps with very different motivations than their own. Alongside different forms of leadership, we also need different ways of working together. The need, and desire, for a circular economy spans the entire world, and we’re in a desperate hurry. It’s a rare case where business, government and individuals share the same goal, even if we all have different motivations to work towards a circular economy. But people aren’t good at working on abstract rewards, generations in the future – so we need every step along the way to make practical sense: To build the stepping stones to a circular economy, there need to be functional business models, it must be more efficient and politically palatable than existing approaches, and have tangible benefits now, not just in the future. It just so happens that this is where open source thrives. 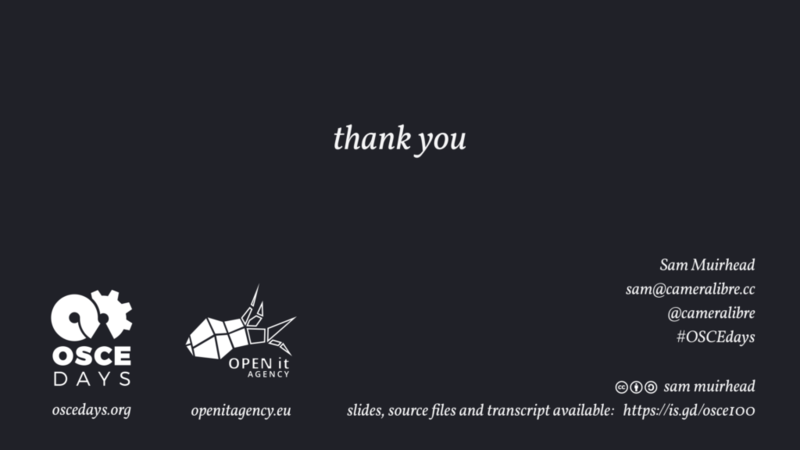 Open source is a method for collaboration which lets diverse groups work together with trust and transparency – whoever and wherever they are in the world. It’s a method focused on rapid and flexible development, made possible by networked digital tools and tried-and-tested open licensing. In practice, open source means publishing how things are made, such as a recipe, software code, production data, or design files. These shared files become the building blocks for any number of iterations, creative uses and further development. Anyone can study, use, and build upon that information for commercial, educational or personal purposes. This is a very human activity- for thousands of years, we’ve have been passing down and adapting recipes, information, and other forms of culture, so this is not exactly new. 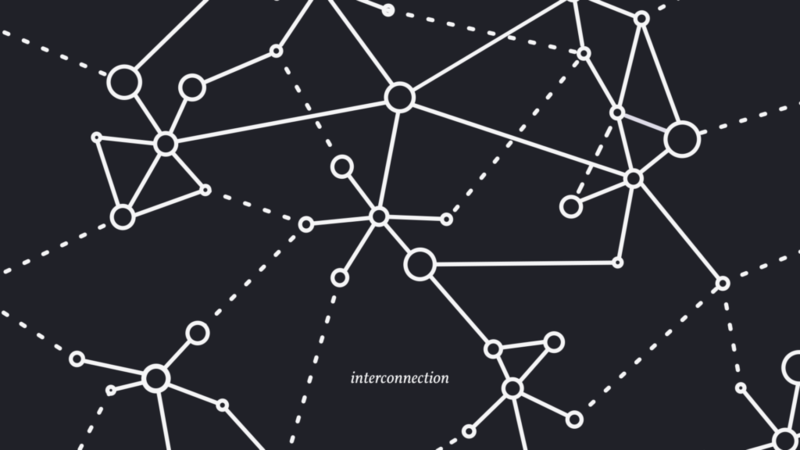 But what the free software movement started in the 1980s was to develop organizational and legal tools to make networked collaboration trustworthy and efficient. [NOTE: um, also quite important, freedom. I only had 15mins!] These include effective copyright licensing, ways of tracking changes across multiple development streams, and processes for quality control. Since then, open source has been spreading fast into other areas of society, though software still has a good head start. Free/Libre Open Source Software is now developed and relied upon by every major software company in the world. The internet, and the tech industry, could not function without open source. The Linux kernel, which is the heart of the GNU/Linux operating system is probably the most successful open source project in the world. While Windows 10 and iOS might be more famous, Linux runs many more of the world’s computers. Over two-thirds of websites run on Linux – over 80% of smartphones, almost all supercomputers, the raspberry pi, the internet of things, the international space station, my laptop at home, your next smart fridge and the computer in your car. Most importantly, Linux is a collaborative project. Its main contributors are Intel, Samsung, IBM. Google… and thousands more companies and individuals. Each of these contributors has their unique focus and business models, but all of these companies need an operating system. So they all work on the parts they need to make sure it works for them, and the whole operating system gets better and better. 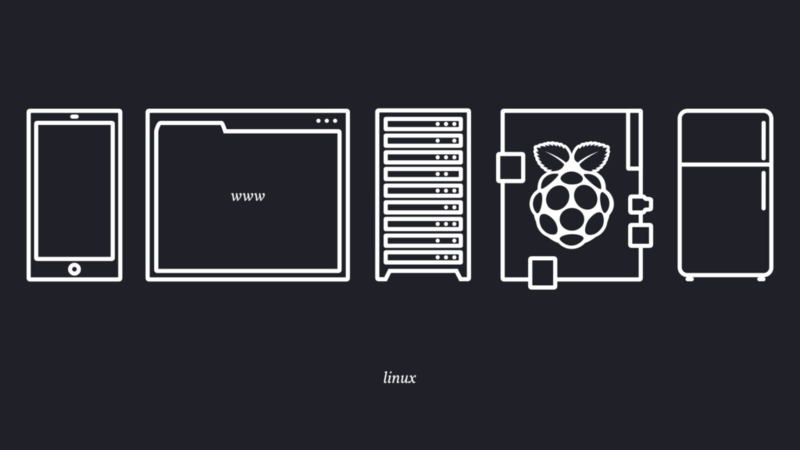 Today, if a company needs an operating system, they could try making their own from scratch (at a cost of billions), but it makes more sense to use and collaborate on an extremely high-performance operating system that they can adapt to their specific needs. (and you can download for free, right now). What I’d like to see is more collaborative projects, organised like Linux, but for circular logistics, for packaging, for tracking material flows, and for modular design. Because I think, just as in the internet and the tech industry, a real, working circular economy cannot exist without an open source infrastructure. There are many unknowns in the circular economy. It’s hard to know where (or with whom) products and materials end up at end of life, you can’t possibly know all of the conceivable resource flows to and from your production, and no matter the size of your team, there are always more people whose expertise could be beneficial to your projects. Normally it may not be practical to consider these unknown others. But open source provides a system which allows you to work effectively with anyone, even people you haven’t identified yet. To understand the complexity of a circular economy, we need transparency at every level – which is often seen as an extra cost or process. But when you’re working in the open, you’re producing transparent documentation and re-usable knowledge as you work, and making it easier for others to help you solve problems. 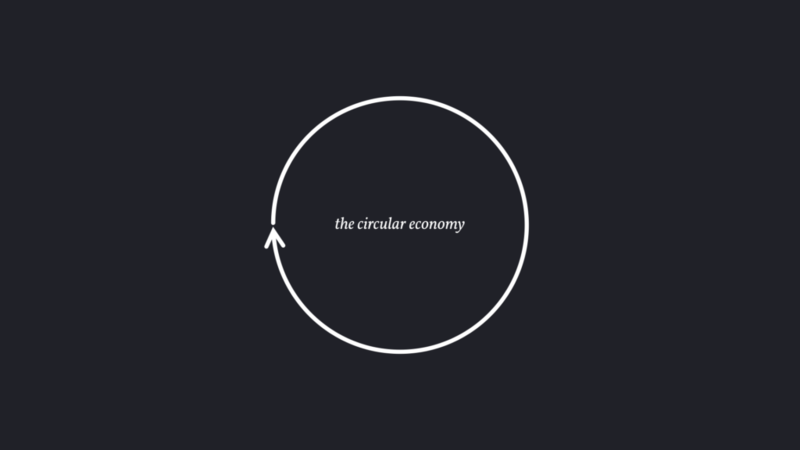 We have many big hurdles to overcome along the way to a Circular economy, and we’re very short on time. So it makes no sense for companies to double up on redundant infrastructure projects, where a shared open source project would let you pool time and resources where it makes sense, and allows you to focus instead on what makes you unique. It’s an understatement to say that we need interoperability and standardisation in the circular economy. The most successful, easy-to-implement open standards are well-documented, have many perspectives included in their development, and are unencumbered by patents. These are natural outcomes of an open source project. Lowering costs means easier experimentation, and a wider range of people who can engage with your products and work with you. With Open Source Hardware, the reduced R&D costs through collaboration and focus on standardised parts and materials ends up reducing costs significantly. Open Source hardware also tends towards modularity, so it can be easily adapted to different contexts and use cases, giving local producers the flexibility to use materials that are appropriate and available. All of this also results in products that are highly repairable and maintainable, a core requirement for extending the lifetimes of our products in a circular economy. 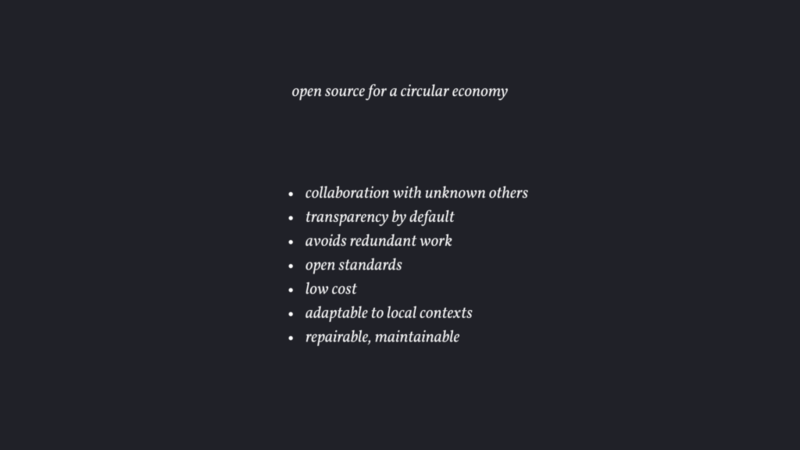 The connection between Open Source & Circular Economy was first raised by my colleague Lars Zimmermann in 2009, but by 2014 the idea still hadn’t made much headway in the circular economy movement. So we decided to use open source processes to spread the idea. 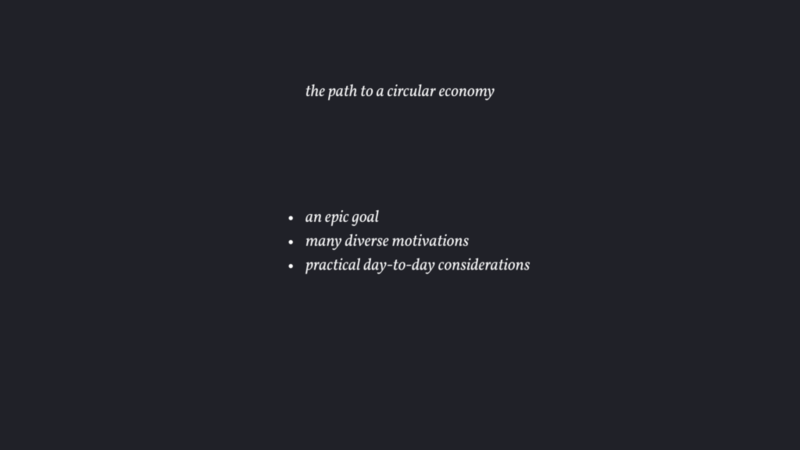 at the end of 2014, a group of 6 people from the fields of open source, circular economy, waste management, and sustainable design got together in a video call to share our ideas. As we were in different cities (Berlin, Paris and London), we decided to organize a distributed event that could happen simultaneously around the world, to build a diverse network to work on this idea. 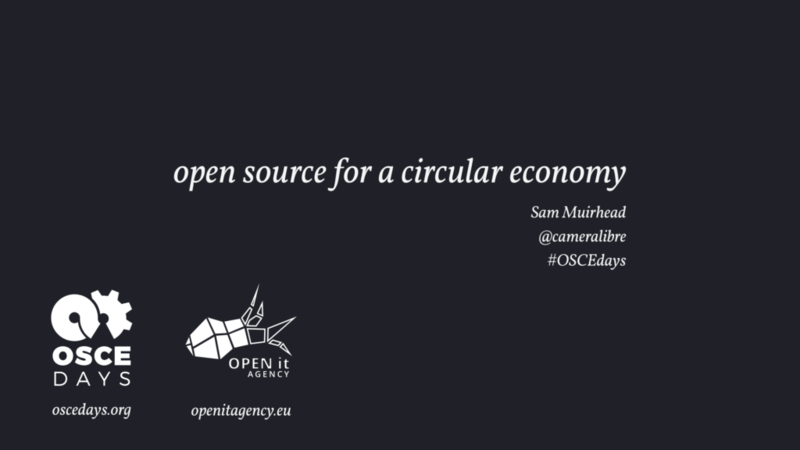 Open Source Circular Economy days was born. Using open source methods, we worked online, in public, and made it easy for others to get involved. Despite limited resources we simply gave people the tools, permission and a process to join us. And join us they did – only six months later ourfirst event took place with 33 cities connected online, and our second event this year involved thousands of people in 73 cities, including events with the municipal government in Shenzhen, to the Philips headquarters in Eindhoven, an outdoor fablab in the Ivory Coast and a rural village in Malaysia. Our teams were building open source circular economy solutions like the Precious Plastic recycling machines, designing with modular design systems like Open Structures, developing educational resources, and getting to grips with the process of open source collaboration and the business models it makes possible. Because this was one of the most common questions we were asked – how can you make money with open source? Tesla is allowing others to use their patents – because the more Tesla-compatible electric car infrastructure that is built, the more appealing buying a Tesla gets. 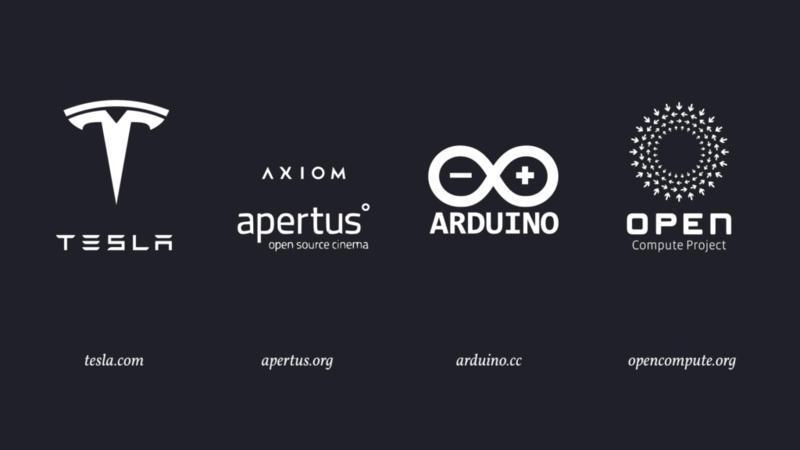 Apertus is creating an open source modular cinema camera that customers can adapt themselves, or pay for customization services. As more 3rd party manufacturers start to make parts, and as the community find new uses and improvements for the camera, the more valuable the platform as a whole is. Arduino makes microcontroller boards for prototyping and making electronic devices. By nurturing a community of enthusiasts and partners on their platform, they have their ear to the ground and know the needs and trends in the Maker movement faster than anyone else, and they can put ideas & designs from the community into production. Open Compute is a consortium started by Facebook, to develop data center architectures. Data centers are naturally a huge cost for Facebook, so rather than being at the mercy of existing service providers, Facebook invited other companies who also need high performance, adaptable and low cost data centers, and invited them to collaborate on an open source hardware project, which translates to saved money, a better product and more control over their technology. All these elements are important factors in OS business models, and you’ll hear more specifics from OSVehicle in a moment. 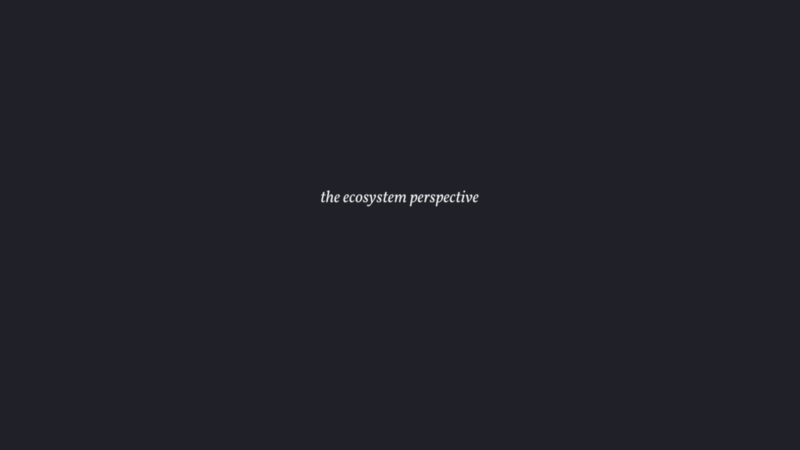 One important thread tying these approaches together is that each company sees their business model not as being focused on one product alone, but rather on an ecosystem or a platform around their products. This ecosystem may include a community of users, as well as various other companies, all building upon the open information in some way. So it’s important to understand the motivations that lead an individual, or a company to get involved. 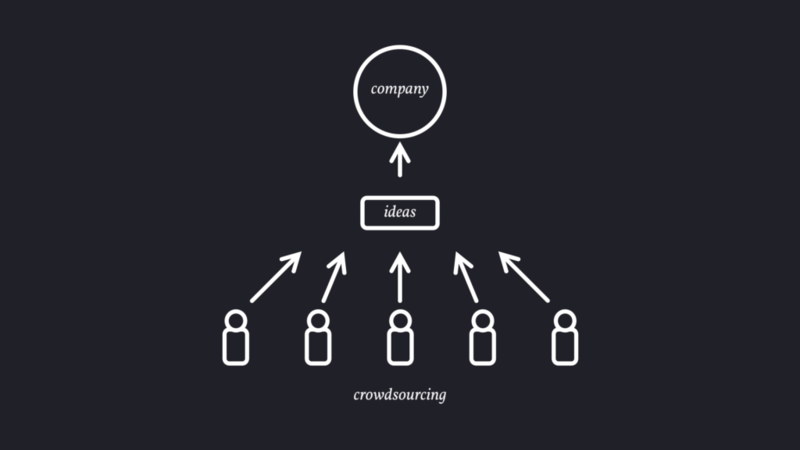 One way to illustrate this is to contrast open source with the crowdsourcing, or ‘open innovation’ approach, where ‘the crowd’ spends time and energy submitting ideas which a single company can then choose to implement or not. While this seems appealing in a traditional sense (you have a monopoly on these ideas) the rewards for ‘the crowd’ are usually less than impressive. There’s the added disincentive of the contributor’s idea languishing unused if the company decides not to take it on. So one problem with crowdsourcing is that it may be a short-term or one-off engagement, and the quality of ideas may not be the highest. 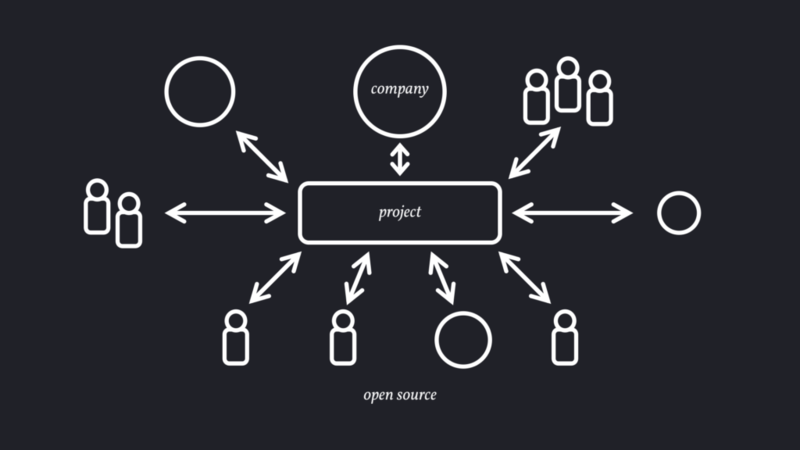 With the open source process, whether it is stewarded by a company or a community, anyone can use the project being developed for any purpose, including commercially. Licensing provdes a clear framework for use, ensuring that any improvements to the project are also available, open source, for everybody else. This means, in addition to the social incentives of being part of a community, people are also able to start a business around a project – meaning that something that may start as mere tinkering can turn into a way to earn a living. As different companies collaborate, they each find their own niches, markets and sectors and contribute their customizations back to the project. Open source business models work not despite their openness, but because of it. The more incentive people have to contribute, the more uses it is adapted for, and the more useful the project becomes overall. So now you’ve had a brief introduction to the topic, what should you do? Take your business 100% open source, tomorrow? well, no. It can be a bit of a cultural shift, it takes time to understand how this all works, and it’s more suitable in some fields than in others. My suggestion for would be to look for areas which may be an important part of your business but not the core – some ongoing cost – like the case of data centers for Facebook. For example, every company dealing in physical goods in the circular economy needs to spend time, money and energy on packaging and logistics, but few companies live or die by these issues alone. Get in touch with other companies and see if there’s a possibility for open source collaboration on those topics, or put out a small pilot project. Last year, Levi’s open sourced their innovative developments on water reduction in jeans manufacturing. It was just a small step, but with the right process design, that first step could be turned into an effective collaboration, reducing water use for Levi’s and the whole textile industry. So if you’d like to dive deeper into what open source could mean for you, your business and the circular economy, great! 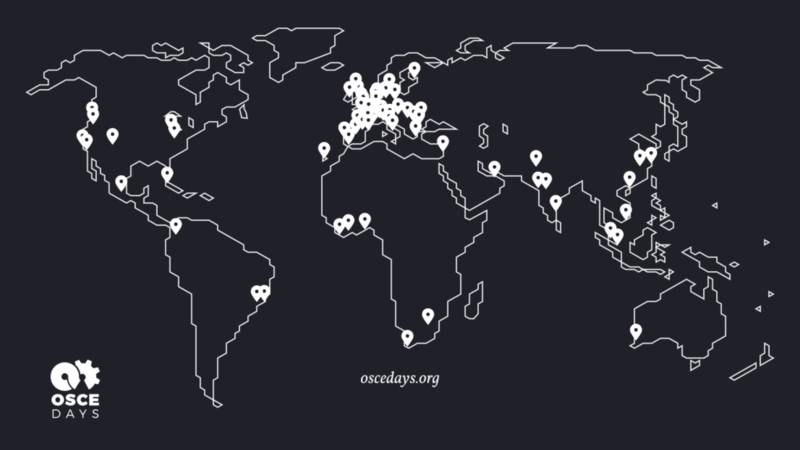 You can get involved and ask questions in the OSCEdays online community, and of course we at Open It Agency are always happy to offer workshops and consulting to develop open source strategies for your organisation. OSCEdays will be running the DIFLabs events as part of this years Disruptive Innovation Festival, we’ll be further exploring this topic and we’d love to have as many of you as possible take part, so that we can build an open source circular economy together.